If academia is going to take itself seriously it must first prove itself capable of exorcising its own demons, starting with the spectre of caste-based discrimination, writes Umar Sathe. On April 1, 2019 The Indian Express reported that the Senate of the Indian Institute of Technology at Kanpur (IITK) has voted to revoke the doctoral degree awarded to Dr. Subrahmanyam Saderla, an assistant professor in IITK’s Department of Aerospace Engineering. It will be important to keep in mind that Dr. Saderla was hired in January 2018 and belongs to a Scheduled Caste. In light of this, the committee saw no reason to revoke the thesis, and referred to the instances of plagiarism as a “misdemeanor,” and recommended that Dr. Saderla “rewrite in his own words all the common material appearing in his thesis as specifically alleged,” and also that he tender a letter of apology to the Director of IITK. The Senate’s decision is the latest addition to a litany of motivated, discriminatory, and reprehensible behaviours engaged in by the faculty at IIT Kanpur. Those wishing to review more closely the documentation surrounding this sordid affair may look here. The noted economist Jean Drèze has pointed out that there appears to be a curious double standard at play when comparing the plagiarism charges levied against Dr. Saderla with those against Dr. Somesh Mathur, an economist at IITK. In 2016, Drèze alleged that Mathur had plagiarised an entire paper of his, a claim that IITK’s Academic Ethics Cell found to be correct; they subsequently recommended that Mathur receive “exemplary punishment” for the offense. Further investigations by Drèze revealed that much of Mathur’s academic record was fabricated—he was, in effect, an accomplished fraud. 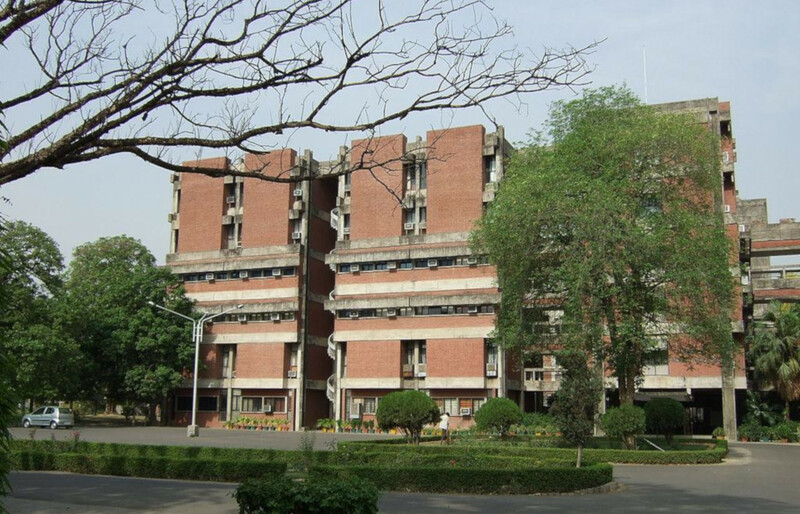 Although Drèze had alerted IITK’s Director in 2017, and given him a detailed account of Mathur’s fabrications, no significant action has been taken against Mathur. In fact, Mathur was promoted to full professor after Drèze’s 2016 complaint, and continues to occupy this position to this day. It would appear that the holier-than-thou posturing of the Senate regarding the inviolable sanctity of academic integrity is only pressed into service when the accused belongs to a lower caste. If they were so concerned with plagiarism, it has been years since Drèze’s complaint; why haven’t they done anything about Mathur? It is difficult not to at the same time recall the case of Rohith Vemula, a Dalit scholar at the University of Hyderabad who, following a painful ordeal took his own life in 2016, sparking nation-wide protests (some of them violently quelled using police action) and inviting harsh criticism from academics both in India and across the globe. As it was then, so it is now: academia remains a den of caste-based discrimination. Dr. Saderla’s case merely extends its scope to include junior faculty members as well. The hostile environment—being subjected to casteist slurs, constantly having your competence and even mental fitness questioned, being heckled in a professional setting, being the recipient of snide remarks, being made to feel like a social pariah—all too palpable in Dr. Saderla’s case on close examination of the relevant documents, is par for the course in Indian academia, whether one is a student or a junior faculty member. A survey conducted at the IIT at Banaras Hindu University and published in Economic and Political Weekly found once again that “negative attitudes, perceptions and stereotypes about the ability of students belonging to the SC/ST groups are a major hurdle,” and that “… 21% students in the SC/ST category found the attitudes of fellow students hostile compared to none in the general category.” It would appear that while reservation policies have prima facie increased the representation of SC/ST persons at educational institutions, they are constantly made to feel like they don’t belong there. And why would they? Dr. Saderla is one of four Scheduled Caste faculty members at IITK, out of a faculty body that is nearly four hundred strong, and three-fourths of all students who drop out of, or have been expelled from, IITK come from marginalized communities. The faculty at IITK have rallied around the four accused senior professors, demonstrating what scholars of caste have understood for decades: that the arithmetic of caste affiliations runs far deeper than the relatively superficial reach of logic and reason. They have demanded that IITK defend the four senior professors accused under the SC/ST (Prevention of Atrocities) Act, and that it bear their legal expenses. We have here a group of individuals (not just the four accused!) who are engaging in behavior that is commonly referred to as gatekeeping: taking it upon oneself to decide who should and should not have access to certain positions/privileges. Gatekeeping underscores much of academic activity: the secretive, opaque manner in which journals operate; the fact that advancement in academia depends crucially on letters of recommendation from senior academics, ensuring conformity and punishing radicalism; the lack of inclusive reservation policies at elite research institutions, etc. Indeed, it is easy to argue that the very same structural mechanisms that make academia a hostile environment for marginalized or minority communities (Muslims, Adivasis, Dalits, LGBTQA+ individuals, etc.) also serve to keep women out of science. Gatekeeping is also in vogue on the far-right, and it goes by the now-trending name of chowkidari: an impulse to defend the “realm” against all threats foreign or domestic, imagined or real. While its manifestations may appear less secular in that context, chowkidari is built into the very fabric of academia: it is reinforced in our classrooms, its effects reverberate in our seminar halls, and it may well cost Dr. Saderla his doctoral degree. If academia is going to take itself seriously—indeed, if it wants society at large to take its tepid appeals for rationality and critical thinking seriously—it must first prove itself capable of exorcising its own demons, starting with the spectre of caste-based discrimination.